Music at the Dedication Ceremony provided by the drumming band from the Adelaide L. Sanford School. The theme for Emancipation of Music is the history and contemporary culture of the Lincoln Park neighborhood, epitomized by African American music. The Lincoln Park area, once referred to as the Barbary Coast, was an African American business district that became a hub for jazz clubs and nightlife. “When people think of the hottest cities of the Jazz Age and Swing Era, New York, Nashville, New Orleans, Memphis, Kansas City, and Chicago immediately spring to mind. But Newark, New Jersey was just as happening as each of these towns. On any given evening, you could listen to a legendary singer like Sarah Vaughn or laugh at the celebrated comedy of Red Foxx. Newark was a veritable maze of theaters, clubs, and after-hours joints where people like to have a good time. Many entertainment careers were launched in the City of Newark.” (Swing City: Newark Nightlife 1925-1950 by Barbara Kukla) Today, Lincoln Park is home to the Lincoln Park Music Festival, which attracts over 50,000 visitors and is one of Newark’s largest cultural events. 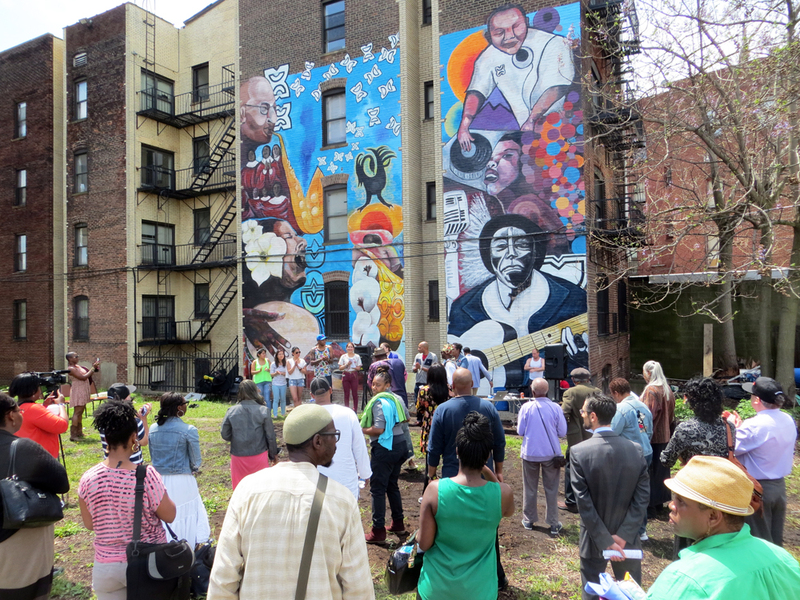 The mural celebrates Lincoln Park’s past and present by featuring images of a choir, musician Billie Holiday, who performed in Newark and of Sarah Vaughn and James Moody, who were from Newark and began their career here. 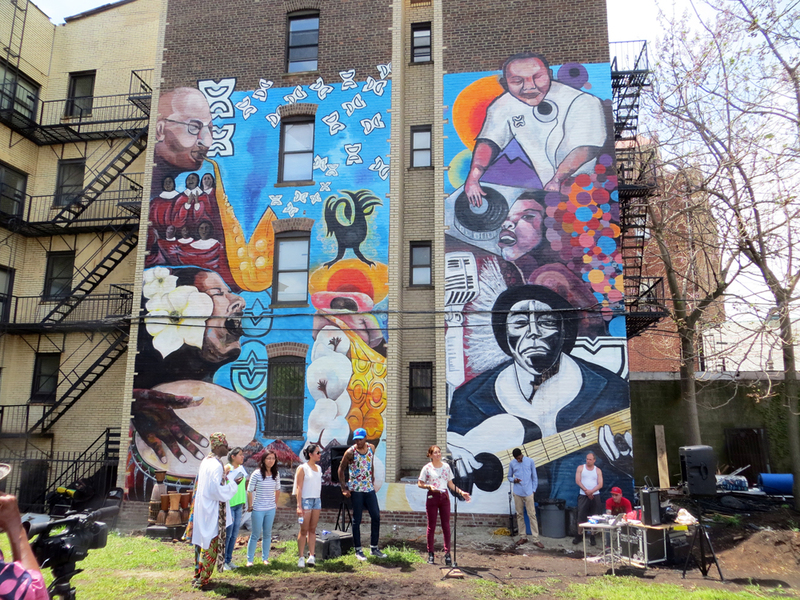 The mural includes an image of a blues player to represent that genre and an image of a DJ to represent the genres of house and hip-hop which are the mainstays of the Lincoln Park Music Festival. The mural also depicts images referring to Africa and to slavery, a reference not only to African American people but specifically to the South Presbyterian Church which was once an abolitionist church.